Making the league final or not will not make or break Mayo's season, but getting back to the competition's final for the first time since 2012 will be a nice bonus for James Horan, as he ramps up preparations for the championship summer ahead. 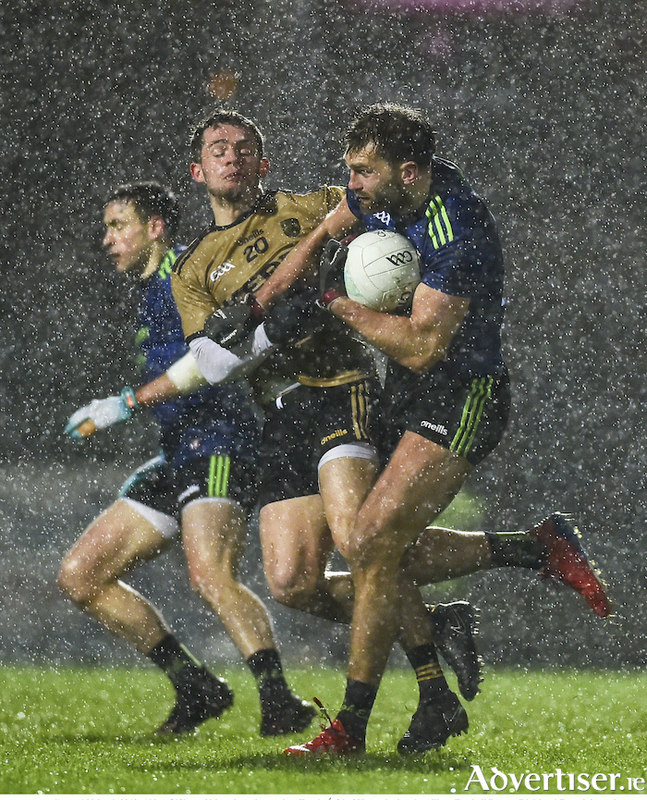 Mayo are nothing but interesting when it comes to action on the field; after two poor showings against Dublin and Galway - they headed to Tralee last weekend to take on a Kerry side that had gone five from five before Mayo's visit - and ran out comfortable enough two point winners. Horan also stayed true to his form of mixing things up in each game, leaving the experienced trio of Andy Moran, Colm Boyle and Lee Keegan on the bench for a game that could have been seen as season defining, had things gone awry for the third game on the bounce. His faith in his squad was repaid by his charges with a composed and confident showing against the Kingdom - with Aidan O'Shea putting in a man-of-the match performance in the middle of the field and his young lieutenant beside him, Matthew Ruane, grabbing the all important goal near the end of normal time; while Fionn McDonagh was trusted to keep his spot and develop his potential up another notch. Michael Plunkett was another who did not look out of place anchoring the defence against Peter Keane's men. While the likes of Moran or Boyle will not be happy to have been kicking their heels on the sideline from the start, having the impact of two warriors like them from the bench is something that Mayo could do with in the closing stretches of bigger encounters later on this summer. Mayo's impact - or lack of it from the bench - has been something that has been a bit of a thorn in their foot over the past few years and having top quality finishers is something they will need if they are to finally get over the line in late summer. There are others we have yet to see this year, like Cillian O'Connor and Cian Hanley, while the likes of Paddy Durcan, Ger Cafferkey, Seamus O'Shea and Evan Regan are all nursing injuries at the minute and will be welcome additions to a welcome selection headache that Horan will hope to have for championship time. Monaghan come to town needing a win to ensure that they are guaranteed to stay up in the division, something that would have seemed like a surprise when they saw off Dublin in round one - but they only managed to pick up their second win last weekend against Cavan - with Galway, Roscommon, Kerry and Tyrone all seeing them off in the other rounds of the competition. For Mayo, heading into the final round of league games with not only their place in division one for next year already in the bag and a place in the final up for grabs, is welcome relief from previous years. There are a number of permutations and combinations for Mayo to make the league final - the simplest of these is that they see off Monaghan and Tyrone, take down Galway in Omagh and that will send Mayo and Kerry into the final. A Mayo draw and Tyrone win would also do the trick, with Mayo progressing thanks to the head-to-head result between the two sides after Mayo beat the Red Hand men in round two. If Mayo win, Galway win and Kerry lose to Roscommon in Hyde Par, then all three teams will finish up on ten points each with the two places being decided on scoring difference - currently Kerry are plus eleven, Galway are on zero and Mayo on plus seven - so the calculators could be out around 4pm. Galway will make the final if they beat Tyrone and Mayo don't beat Monaghan - they will still go through if they win, Mayo win and Kerry get at least a point against Roscommon and can still go through if they get a big points difference swing with wins for themselves and Mayo and a loss for Kerry. All very simple.